Even with Andy being under "surveillance" after what he pulled a while back I think it's a good idea, but you need at least 2 people maybe each doing one or two news stories in each podcast plus maybe having a game review on some episodes. Video reviews would be awesome. Podcasts would be pretty cool. Download and listen to them on-the-go or whenever. I can help edit if you guys go with video reviews and whatnot. Im sure we could do one. If some of the staff here had a Computer and Skype. At the HVS Network we would all be playing Black ops over skype almost every weekend. Noooo! My pc need an external mic so I can't do a podcast yet, but I can probably do some sort of youtube marketing video using my Photoshop Mobile v.10.8 app on my Netpad pc. I like the Krazy idea of Podcasts. Nintendo Ninja News has a podcast. Yeah I can add some of my podcasts here and see how that goes. The Ninja Podcast has been pretty successful so far and there will be a new one tonight talking about the E3 and the agreement getting past. I am still working on the designs here and working out what's the best way of going around it. I just checked and your podcasts work on the Wii browser, so it would be popular here. thats actually good news. At least ourmmbers dont miss out on those. In regared to the Logo. 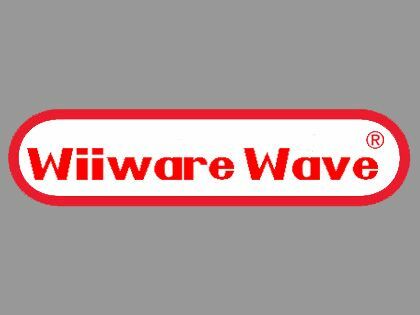 As much as the one we have now is "Wiiwarewaves logo" we can experiment with different ones. Back when I had a computter I tried coming up with new logos for WWW.